New start for Dortech Huddersfield, having experienced a poor service with a national service provider who subsequently sub contracted their work to another national service provider, Rentex hygiene services and supplies are pleased to have been appointed new suppliers for Dortech Huddersfield. Frustrated with constant phone call after phone call with such simple service issues as please can our mats look the same colour and Dortech repeatedly being ignored, we where approached to firstly provide a single point of contact and to look at reducing costs and importantly for Dortech Huddersfield the products delivered to site. Rentex floor care services will supply Dortech Huddersfield with matching mats as standard when in close proximity to each other, not hard we know but some national service providers will just place anything on the floor and its job done. 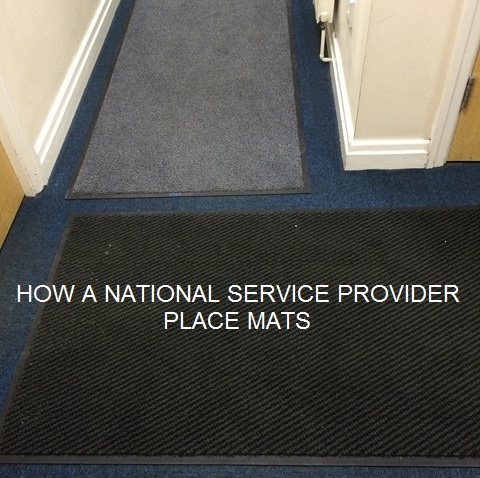 At Rentex Mat Rental Services we understand that first impressions count and Dortech Huddersfield will not have to suffer with mixed matting in their offices anymore, additionally with two national service providers involved we reduced their charges by nearly half. As a business Dortech Huddersfield understand that using dirt control barrier mats on a lift and lay service will maintain office entrances, reception areas and interior carpets from dirt and moisture walked into their premises. Dortech Huddersfield is a specialist glazing contractor who has been designing, manufacturing and installing glazed facades throughout the UK for over 22 years. They specialise in large scale construction projects incorporating curtain walling, aluminium windows, entrance doors & roof lights and prides itself on offering outstanding levels of customer services. This approach has been instrumental in Dortech Huddersfield developing long-lasting, strategic relationships with some of the largest and most reputable construction companies within the UK.